I have been enjoying reading the stories from the classmates that have written in. It’s a reminder that through all the good times, as well as the bad, God is ever-present. I found this out in a very personal way, in the fall of 1971. By this time I had made a total mess of my life. In less than three years, I had lost the most wonderful Christian (and pretty) girl that God had placed in my life. I had lost both my parents, my health and my Faith. It’s hard to imagine, looking back, but it was drugs, alcohol, and fear. I was having major anxiety attacks and depression. Every morning, my first thought was ‘is this going to be the day’. I was to the point where it was too much to handle. I was spending a lot of time in and out of the hospital. While in Vietnam, I had developed a severe kidney disease from agent orange. (I was later operated on for cancer). I didn’t realize that I was going to write all of this. The good news is though, one evening I walked into a small white church in Colorado Springs. I have absolutely no recollection of the service. What I will never forget, however, is walking out of that little church totally free. I felt clean and washed. The fear was gone! Looking back, I realize that it was spiritual darkness. It was real, but the power of God is greater! My discharge date was delayed because I was still in the hospital at that time. I had no idea where I would go when I got out. One day someone came by and said I had a letter. Lennie and I hadn’t communicated in over a year and a half. I held her letter for a long time, afraid to open it. I guess I thought it was a wedding announcement or something. Anyway, I was discharged December the 15th. We were married two weeks later on Christmas Eve. God has been very good. We have a son and two daughters, and good crop of grandkids. God is good and His mercy is forever. Today I had the honor to speak at the Gaston County, North Carolina about my book, WHEN WE CAME HOME, How the Vietnam War changed those who served. I was joined by Vietnam veterans and those who have an interest in those tumultuous days. The presentation was well received and followed by a lively round of questions. I was able to sign books for many who attended. I had the privilege of signing a book for Rev. Houston Matthews who is an Episcopal Priest and Vietnam veteran of the Marine Corps. He was severely wounded at Khe Sanh in 1968. I thank the staff of the library for arranging this presentation! 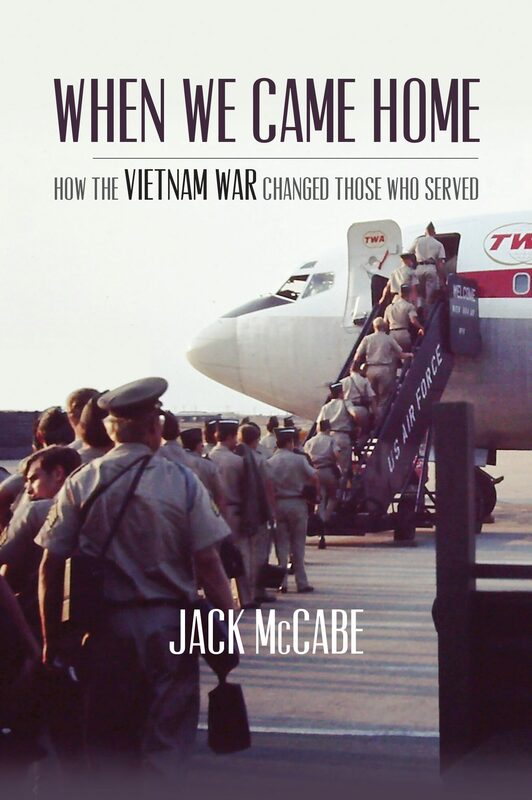 Join me as I discuss my book, WHEN WE CAME HOME, HOW THE VIETNAM WAR CHANGED THOSE WHO SERVED. Billy Williams worked at WJAX in Jacksonville before being drafted in the Army. He was trained at Ft. Gordon and received a 35L20 MOS. Of course he was then sent to Vietnam where, in October 1971 he joined Avel Central at Phu Loi. When a slot opened up at AFVN Billy enlisted the help of his CO, Major Joe Matos. Billy got the job and left Avel Central in November 1971. The following is from an article he wrote for the North Florida Amateur Radio Society. After being drafted away by the Army from a daily shift at WJAX, he wound up doing music radio on AFVN-AM starting at the station on Monkey Mountain near Da Nang then going to network HQ in Saigon, the capital city. From Saigon for six hours daily, his broadcasts went out over a chain of 50 KW and 10 KW AM transmitters covering South Vietnam from the Mekong Delta at the southern tip of Vietnam to the demilitarized zone bordering North Vietnam. The Saigon-area transmitter was 50KW on 540 kHz. located in Cat Lo near Vung Tau, a seaside resort area on the South China Sea which was also a popular in-country R&R spot. Its signal strength provided booming coverage over a wide area. At night, signals reached Australia, India, Indonesia and even Hawaii occasionally. They got a reception report from California at least once. Along with other powerful transmitters on several frequencies in the Central Highlands and Da Nang, over 90% of South Vietnam was within AFVN’s beam. AFVN had a staff of military and civilian broadcast engineers to maintain these far-flung detachment sites. Several were also American Amateur Radio operators. Several AFVN detachments were located near mountaintop Signal Corps sites close to larger towns. These were not huge mountains, maybe 2,000 or 3,000 ft. elevation. Driving a jeep or truck from ground level up a winding clay hardpan road took 20 minutes or so. But the added altitude enhanced signal propagation. Some signal sites and AFVN detachments had occasional danger from infiltrators, snipers, rocket and mortar attacks. Other hazards included mines, booby traps, B40 RPGs and exploding taxi cabs. Besides American & Allied military along with civilian contractors, a huge shadow audience of Asians who adored American music listened to AFVN-AM. Close to three million residents lived in or near Saigon and the station sound played everywhere. Besides hosting a daily music DJ program live on AFVN-AM, his shift also included airing prerecorded music program segments from stateside luminaries including Wolfman Jack and Casey Kasem. On AM, we rocked to Led Zeppelin, Steppenwolf, Jimi Hendrix, Animals, CCR, Rolling Stones and the like. The Vietnam War had its anthems which generated requests from the troops and these songs played on AFVN-AM. Hits like We Gotta Get Out Of This Place….Magic Carpet Ride….All Along The Watchtower….The Letter and Paint It Black which also were hits in the United States. Let’s not forget Peter Paul & Mary’s Leaving on a Jet Plane and yes, Barry Sadler’s Ballad of the Green Berets, another favorite that produced numerous requests which were honored often. Also, popular “regional” favorites. Jimmy Cliff’s 1970 rendition of Vietnam comes to mind along with Cathy Gregory’s After Cambodia and Jaimie Brocket’s Talkin’ Green Beret New Yellow Hydraulic Banana Teeny Bopper Blues–a challenge to say in one breath. To country music listeners, Merle Haggard’s Okie From Muskogee appealed on multiple levels both to those with pro-war outlooks and others with anti-war sentiments. For comic relief, AFVN-AM transmitted daily short serials like Chickenman and the Tooth Fairy–Benton Harbor and Newton Snookers respectively. By 1972, progress in stabilizing the Thieu administration and South Vietnamese military was minimal at best. The Paris Peace Agreement took effect in early 1973. All AFVN detachments closed. AFVN-AM and TV signed off. AFVN-FM Saigon became the American Radio Service to serve a small residual group of Americans allowed to remain under terms of the peace agreement. Take a trip back in time and enjoy some of these AFVN radio broadcasts.